A calendar year, as you would expect, covers 12 consecutive months, beginning January 1 and ending December 31. Flow-through businesses (such as partnerships, limited liability companies and S corporations) using a calendar year generally must file their tax returns by March 15. The deadline for calendar-year C corporations is generally April 15. A fiscal year consists of 12 consecutive months that don’t begin on January 1 or end on December 31 — for example, July 1 of the current year through June 30 of the following year. A fiscal year also can include periods of 52 to 53 weeks. These might not end on the last day of a month, but instead might end on the same day each year, such as the last Friday in March. Flow-through entities using a fiscal year file their return by the 15th day of the third month following the close of their fiscal year. So, if their fiscal year ends on March 31, they would need to file their return by June 15. Fiscal-year C corporations generally must file their return by the 15th day of the fourth month following the fiscal year close. Companies that adopt a fiscal year also must use the same time period in maintaining their books and reporting income and expenses. A business owner chooses the company’s tax year when filing its first tax return. Simply paying estimated taxes, filing for an extension or submitting an application for an employer identification number won’t count as having adopted a tax year. Although just about any business can choose to use a calendar year as its tax year, the IRS requires some businesses to do so. Businesses that don’t keep books and have no annual accounting period must use a calendar year. Most sole proprietorships also are required to use a calendar year. To the IRS, sole proprietorships lack distinct identities apart from their proprietors, who as individuals typically use a calendar year when filing their returns. Individuals who file their first tax return using a calendar year and later become sole proprietors, partners in a partnership or shareholders in an S corporation generally must continue to use a calendar year, unless they receive approval from the IRS to change it. Gaining such approval might be necessary if, for instance, the majority of partners use a fiscal year. While a calendar year end is simple and more common, a fiscal year can present a more accurate picture of a company’s performance. This often is the case with seasonal businesses. For example, many snowplowing companies make the bulk of their revenue between November and March. Splitting the revenue between December and January to adhere to a calendar year end would make obtaining a solid picture of the company’s performance over a single season difficult. In addition, if many businesses within an industry use a fiscal year end, a company that wants to compare its performance to the performance of its peers probably will achieve a more accurate comparison if it’s also using the same fiscal year. A short tax year is, just as its name indicates, a year with fewer than 12 months. A business might end up with a short tax year when it begins operations midyear or switches its tax year. In either case, the business still needs to file a tax return for this period. But the way the tax is calculated varies. Suppose a business begins operations on May 1 — in other words, midyear — but is using a calendar year. 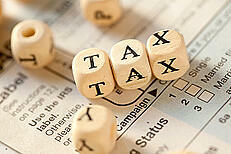 Its first tax return will cover the period from May 1 through December 31. If the short tax year is a result of the fact that the company is changing its tax year, its income tax typically will be based on its annualized income and expenses. But the company might be able to use a relief procedure, described in Section 443(b)(2) of the Internal Revenue Code, to reduce its tax bill. Although choosing a tax year may seem like a minor administrative matter, it can have an impact on how and when a company pays taxes. Your tax advisor can help you determine whether a calendar or a fiscal year makes more sense for your business.